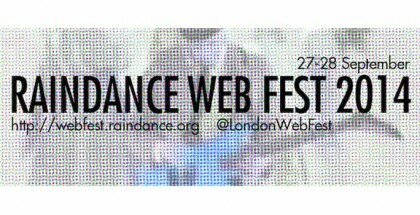 Raindance Film Festival is hosting the UK’s first Web TV Fest this weekend. The world of TV and film is changing – and this year, film festivals are changing too. 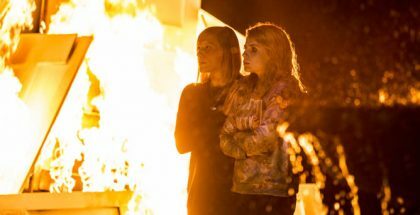 The London Film Festival is launching the BFI Player, an video on-demand service for those outside of the capital, the UK Jewish Film Festival has a similar VOD platform, while Raindance are hosting an entire weekend of events and screenings devoted to Web TV. The Web TV Fest will take place on Saturday 28th and Sunday 29th September, during the film festival itself, and will feature a packed schedule of panel discussions, with subjects covering audience development, lessons from YouTubers, product placement and branding. There will also be the world premiere of Producing Juliet, the latest from Tina Cesa Ward, whose previous series Anyone But Me captured over 35 million views. At the centre of it all, a discussion about the future of web TV; as audiences shift their viewing behaviour away from traditional models to on-demand services, what’s the next step for filmmakers and online shows? Raindance will also give an award to the Best Web Series on Sunday 29th September, which will be judged by hand-picked figures from the media world including, Lisa Campbell (Editor, Broadcast Magazine), Ross Whittow-Williams (Executive Producer, BigBalls Films), Mick Greenwood (Managing Editor, MSN Video UK & International Video Project) and Chris Sussman (Executive Editor, BBC Comedy).